Ask Cary Family Dental: Is Invisalign® really customized for each patient? Yes, it is, and that’s part of what makes it work. To find out if you are the right candidate for Invisalign treatment, the first thing we do is to take an impression of your teeth as they are now and digitize it. Using special software, we look at the current positioning of your teeth and compare it to the way your teeth should look. Next we use special software to map out the exact path your teeth will take from the beginning of your treatment to the end. 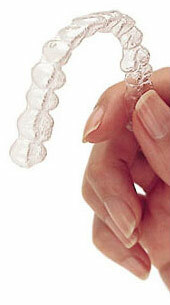 Based on the results, a set of custom aligners are created just for your teeth. Throughout the course of treatment, you will be required to wear these clear, removable aligners one at a time; each one moving your teeth closer and closer to their final, perfectly aligned position. The best thing about it all? Nobody around you will even know you are wearing braces! Cary Family Dental is a certified Invisalign provider. If you have questions about Invisalign, or would like to find out if you are a candidate for Invisalign treatment, please give us a call. Dr. Allan Acton and his team of excellent dentists at Cary Familiy Dental proudly offer sedation dentistry, cosmetic dentistry, dental implants and general and family dentistry to patients in the Raleigh, North Carolina area including Cary, Apex, Morrisville and Holly Springs, NC.